New from Bloch, in collaboration with tap idol Jason Samuels Smith, these pro-level ladies tap shoes are sure to please. The leather upper is Kashmir-lined which makes the shoe incredibly comfortable and also reduces moisture. The outsole is made with a double hard leather, and the heel is triple stacked. The steel resonance plate between the tap and outsole provide optimum depth and pitch. A unique metal bonding method is used in this shoe which ensures that the screws won’t loosen without modification. Shoe heel height is 1.5". Slip pad is also included. 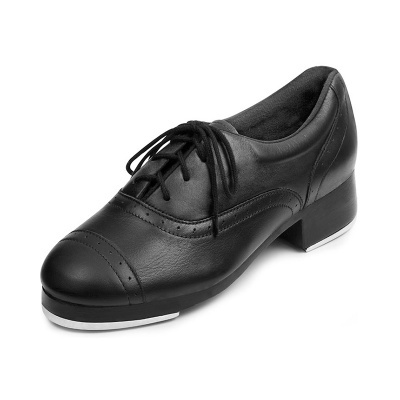 The Bloch Jason Samuels Smith Ladies Tap Shoes are available in Ladies sizes 4-12.